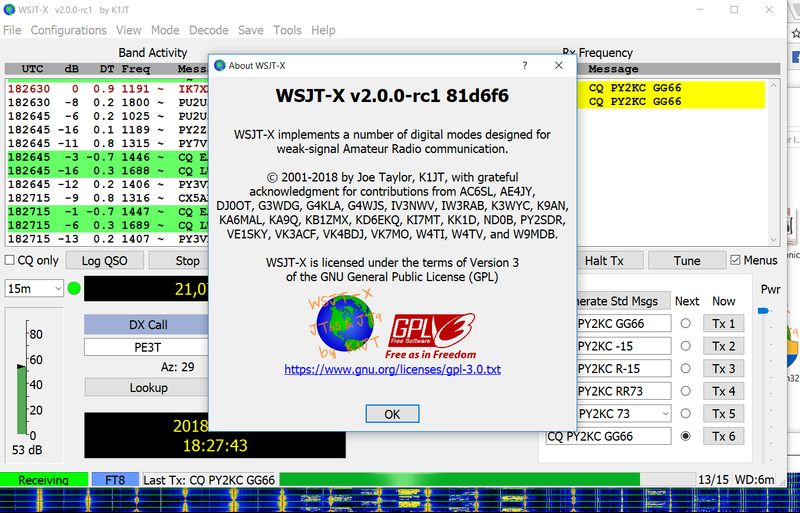 Go to New Features in WSJT-X 2.0 for a detailed description of its new features. Further technical information (primarily of interest to programmers) is available here. Candidate releases are intended for beta testers: individuals interested in testing the program’s new features and providing feedback to the WSJT Development Group. At the time of this first candidate release we have not yet completed the WSJT-X 2.0 User Guide. Potential users of the candidate release should read Quick-Start Guide to WSJT-X 2.0 before proceeding. Version 2.0.0-rc1: (runs on Vista, Win 7, Win 8, Win10, both 32- and 64-bit). Installation packages will be posted here as soon as they are available. 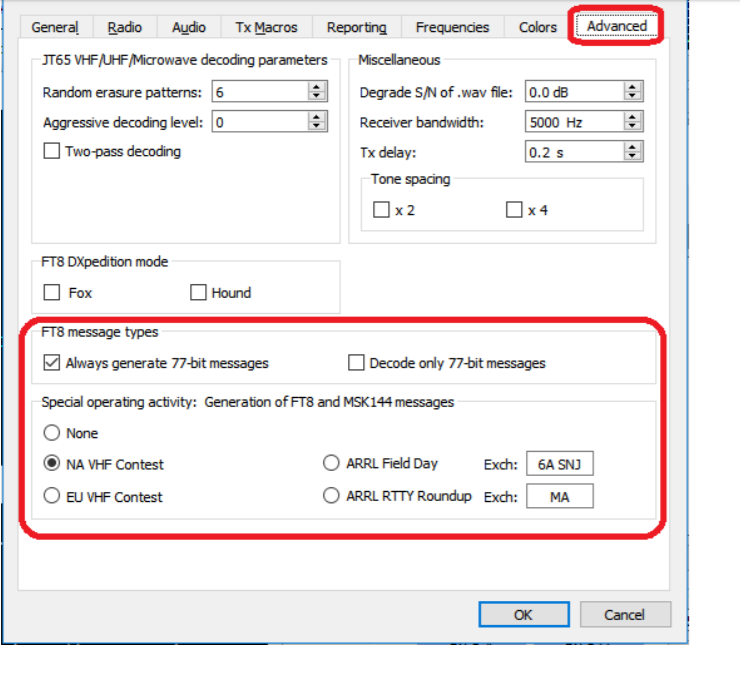 decoding sensitivity is slightly better than for the old protocol. slightly larger message payload and higher code rate. JT9, JT65, QRA64, ISCAT, Echo, or FreqCal. replaces the old one from the outset, without backward compatibility. but should be rare, and extremely rare within a particular QSO. were not possible with the old protocols. 50.360 (Region 1) or 50.260 (Regions 2 and 3).